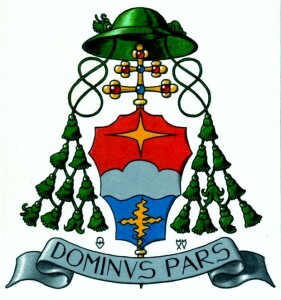 151007 Eskilstuna Few years ago I composed Arms for H. E. Bishop Msgr. Oscar Aparicio. 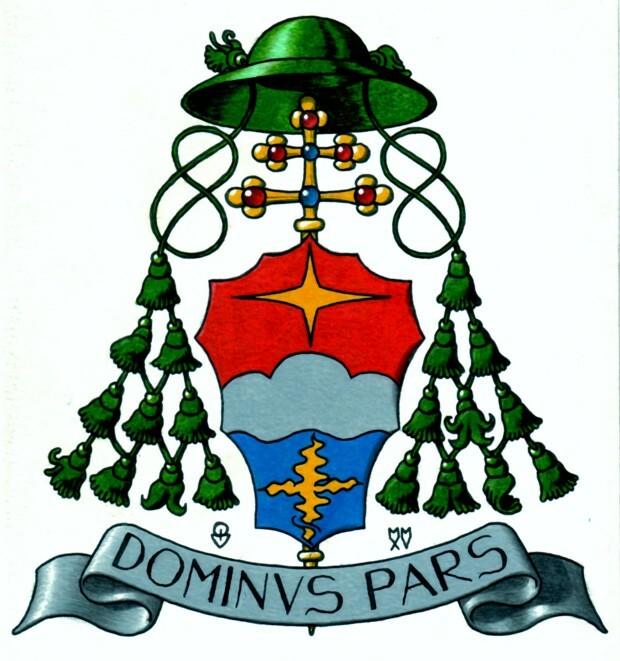 I made a new drawing of the Arms in the occasion of H. E. Msgr Aparicio’s appointment as Archbishop of Cochabamba. 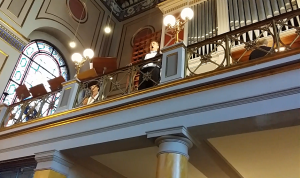 150907 Copenhagen At the solemn Mass with Investiture of new Knights of the Holy Sepulchre of Jerusalem in the Cathedral of St. Ansgar in Copenhagen, I had an honour to sing Ecce Sacerdos Magnus for H. Em. Cardinal Edwin Frederick O’Brien’s entrance into the Church. Whole Investiture Mass can be seen at the homepage of the Catholic Church of Denmark. 150902 Eskilstuna Few months ago I was asked to draw a Coat of Arms for ”micronation Principality Lorenzburg”. Micronation Lorenzburg is an aesthetical project run in a district of the town Karlstad in Sweden and financed by the Municipality of Karlstad. 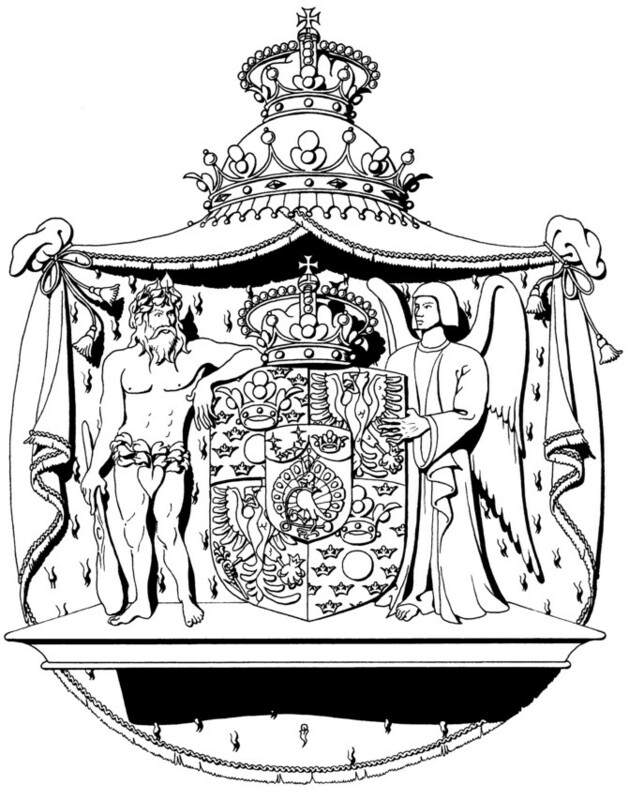 The commission included drawig the Arms of the micronation as well as drawing the Arms of the micronation’s ”Head of State”, the ”Prince”. 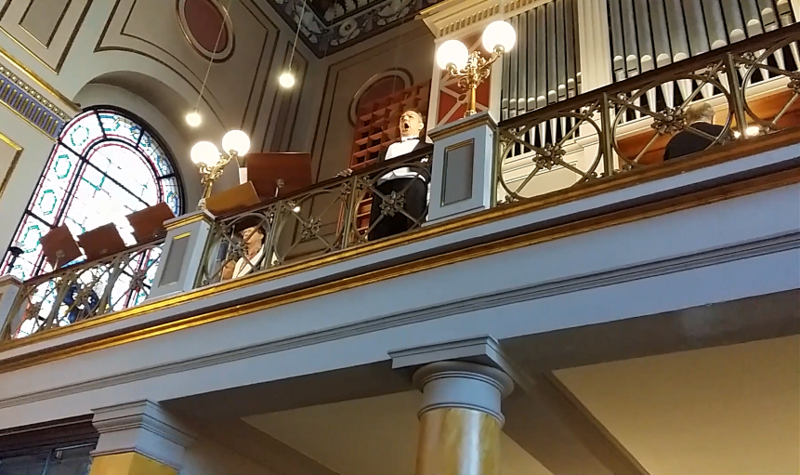 150830 Eskilstuna Songs from my Album from 1998 have been published on this page. The songs can be found in the document about the Album or in document Audio & Video. 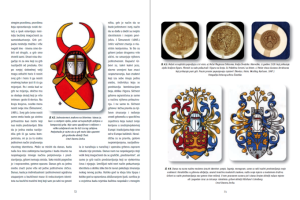 150828 Eskilstuna By making my book available in form of PNG-images, I hope to be able to give further support to the humanitarian work of the Equestrian Order of the Holy Sepulchre of Jerusalem. 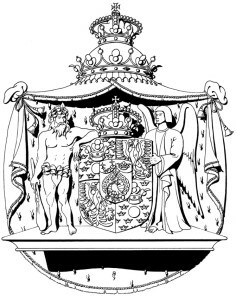 You can get full access to bigger images (1361×910) of the pages by giving an optional support to the Swedish Lieutenancy of the Equestrian Order. Please, read more in the document Actual Projects. 150826 Eskilstuna The first issue of my book FAMILY ARMS (Cro. 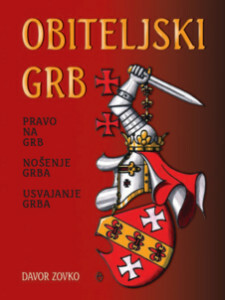 OBITELJSKI GRB), published by Laurana Zagreb in 2009, has been out of stock for some time. In order to enable more interested persons to get access to the book, I decided to publish the book online, in form of PNG-images. 150825 Eskilstuna My Album with solo songs of Croatian romantic composer Ivan von Zajc, will soon be published on this page. 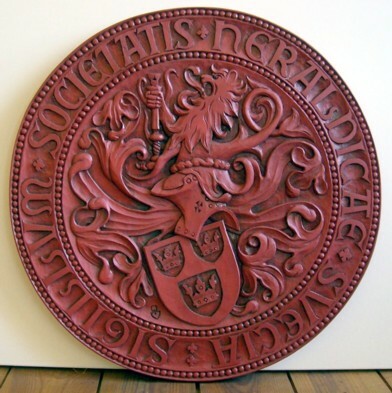 150321 Lund One of the Swedish Heraldic Society’s gold medals for 2015 has been bestowed on well-known Swedish woodcarver Thorleif Aiff. At his lecture Thorleif Aiff presented his sculpture of the Society’s seal that he had cut after my model, designed many years ago. With incredible sense for proportions, depth and rhytm, Thorleif gave the third dimension to my old work, exactly in the way that I imagined the seal in three dimensions. Thorleif was also kind to put my signature on the woodcut as in the original picture. Photo by courtesy of Thorleif Aiff. More beautiful handcarved woodcuts of Master Thorleif can be seen on his Homepage. 150319 Zagreb/150325 Eskilstuna A Contract of Partnership had been signed between the well-known Croatian Publisher Despot Infinitus and myself. Despot Infinitus will publish my new book CHIVALRY TODAY, this year. The new composition has been published in the Armorial ZOVKO. 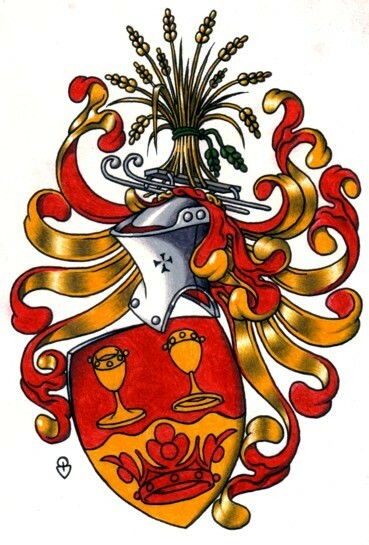 150228 Eskilstuna Member of the Board of Swedish Heraldic Society, Tomas Bragesjö, ordered a new interpretation of his Family Arms. This is the result. 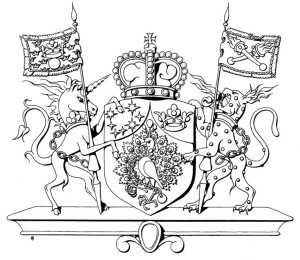 150223 New Coat of Arms for a Norwegian family has been composed. 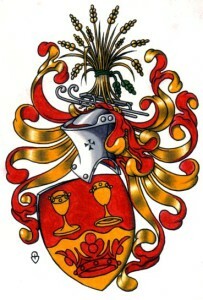 The Family has now assumed the Arms. 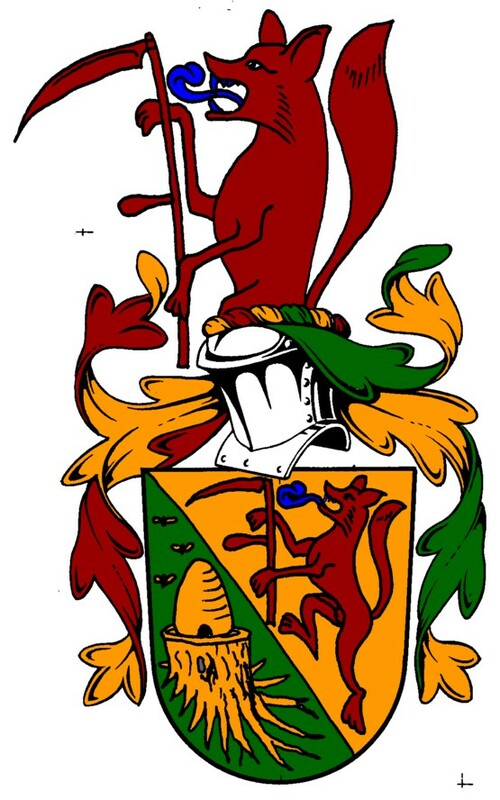 The final painting of the Arms will be published in the Armorial Zovko soon. 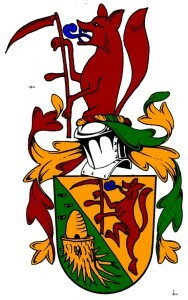 Coloured draft of the Arms, made in the well-known pattern of Jan Raneke (1914-2007), greatest Swedish heraldist ever. 150214 Eskilstuna There are many Anniversaries that I celebrate this year. 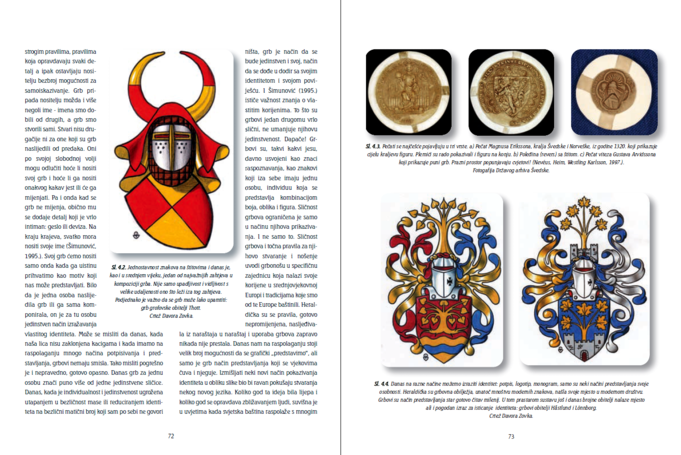 Please, visit the section Heraldry and find out how do I celebrate 20 Years of Heraldic Artistic Work. 150214 Eskilstuna The new Homepage is now published, this time in WordPress. I would like to express my great gratitude to my (former) webmaster Alexander Ulltjärn, who did a great work with my old pages. 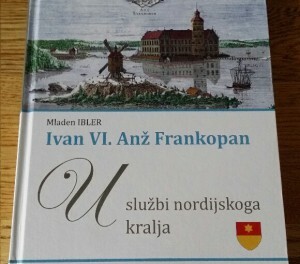 Dec 19, 2014 Eskilstuna Received a copy of the book ”Ivan VI. Anz Frankopan” written by former Croatian Ambassador in Sweden, Dr. Mladen Ibler. Ivan Frankopan was Croatian nobleman who was the Courtier of Eric of Pomerania, King of the Union of Calmar. My name was mentioned in the Preface. If my assistance to the Author was worth mentioning, then I am really proud. 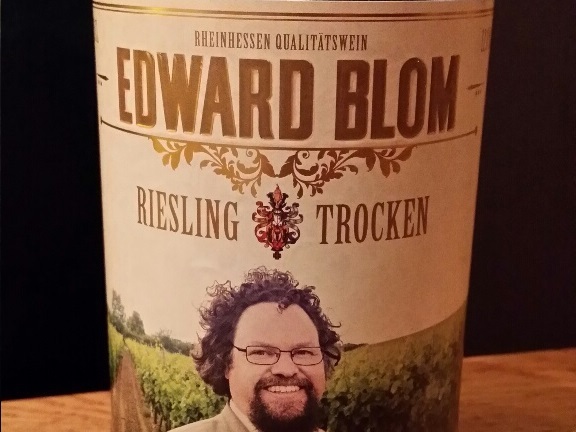 Oct 25, 2014 Stockholm Received a bottle of wine from famous Swedish TV personality Edward Blom. 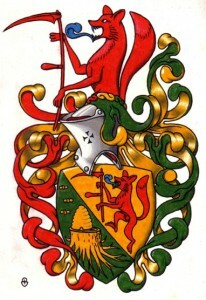 On the lable I found a picture of Edward’s Coat of Arms – my composition and painting that I finished several years ago. Feb 2014 London In the end of 2013 I was invited to hold two lectures for Croatian Chaplaincy in London. Members of the Lieutenancy of England & Wales of the Equestrian Order of the Holy Sepulchre, as well as members of the Brittish Delegation of the Constantinian Order of Saint George, were also invited to the Seminar. 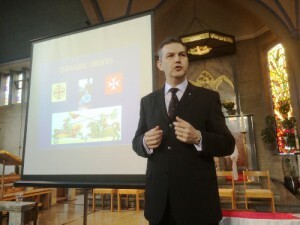 The Seminar was hold on Sunday, February the 16th, in the Sacred Heart Church. Photo from my Lecture about Chivalry, held in London in February 2014. Photo by courtesy of Croatian Chaplaincy of London. 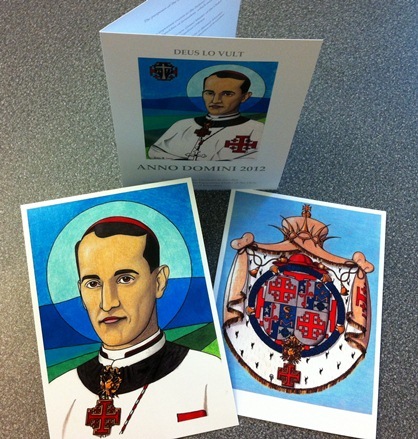 – Blessed Cardinal Stepinac, Knight of the holy Sepulchre. This lecture was based on well-known biographies of Archbishop Stepinac as well as on the well-known Doctoral thesis of the Jewish historician Esther Gitman. Besides the representants of the named Orders, a rather large audience listened to the Lectures. Jan 2014 Stockholm A new collection of exclusive wear from Niclas Åhrman has been marked with one of my heraldic compositions. 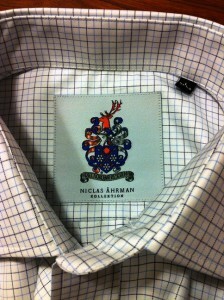 The composition will be published this year in the Scandinavian Roll of Arms. 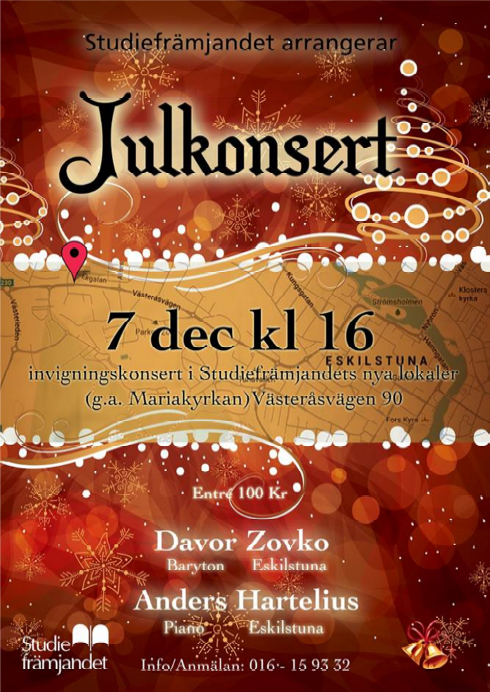 Dec 7, 2013 Eskilstuna In occasion of opening of the Swedish study association for adult’s education, ”Studiefrämjandet’s”, new Concert and Activity house in Eskilstuna, I was asked to sing the Inaugural Concert. 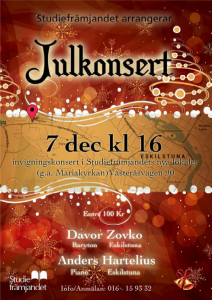 This Concert was arranged as a Christmas Concert. 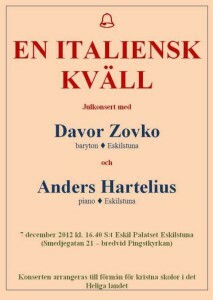 Accompanist at the Concert was the Swedish pianist Anders Hartelius. Oct 2013 Eskilstuna New Coat of Arms composed for a Swedish Hunting Club. The footprints symbolize not only hunting. Their form and placement on the Shield should associate to the Swedish National coat of Arms (Azure, three crowns, Or). The Club has even a section for Ladies. Jan 2013 Lisboa A chapter about my Ex Libris art, written by Jonas Arnell, has been published in Vol. 16 of well known publication of Artur da Mota Miranda CONTEMPORARY INTERNATIONAL EX LIBRIS ARTISTS. 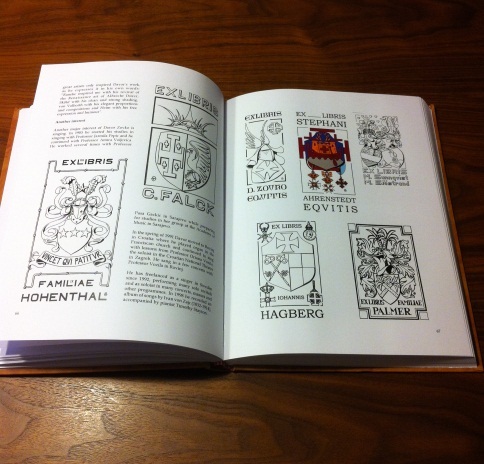 The chapter covers ten pages and contains several pictures with my works. 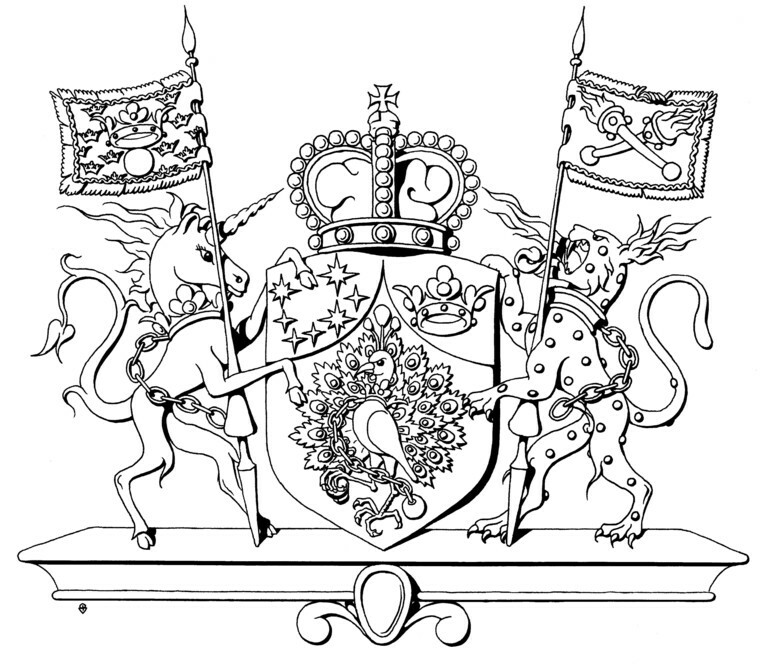 – Coat of Arms of the Grand Master of the Equestrian Order, paintedin accordance with the Constitution of the Order. – The 75th anniversary of appointing of Blessed Cardinal Alojzije Stepinac Knight of the Holy Sepulchre. 2. To collect additional funds for the Order’s humanitarian work in the Holy Land. The publication was made possible thanks to the generous support of Mats Franzén, Zoran Ostojic and Sandro Baricevic RHGO. 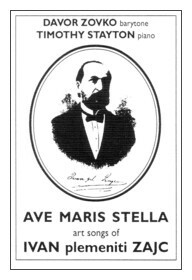 The postcards have been sold as a whole publication of two cards (one of each motif) and a cover that includes description of the publication. Revenue from the sale of the publication goes entirely to the Order’s humanitarian work in the Holy Land. 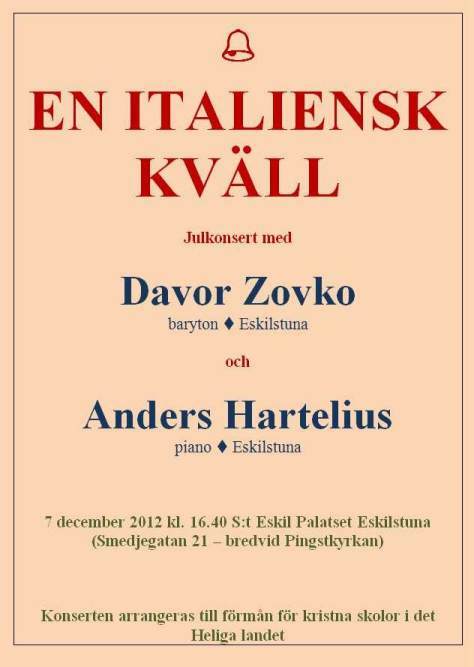 Dec 7, 2012 Eskilstuna On Friday, December 7th it was time – again – for a Christmas concert in Eskilstuna. This time I had with me Anders Hartelius, pianist from Eskilstuna. Concert was performed as we planned. It was inspiring to see that all the seats in the beautiful hall of the Palace S:t Eskil were occupied. Anders and I brought both music and humor to the scene. This concert gave another aid to Christian Schools in the Holy Land. I am very grateful for all the help we received in the organisation of this concert as well as for all our faithful visitors. Christmas Day 2011 Stockholm Sang Missa Brevis K 275, together with (other) soloists, Cathedral Choir of the Cathedral of St. Erik and minor Orchestra. The Conductor was Elisabeth von Waldstein. 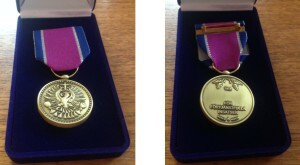 Dec 2011 Gothenburg Few days before Christmas, I received congratulations from the President of Swedish Heraldic Society, who informed me about the fact that I was chosen as one of the Laureats for the Golden Medal of the Society. I was awarded with this medal for my long term engagement in the Society as well as for my contribution to development of the artistic expression in the Swedish Art of Heraldry.